A cutting-edge, flexible platform for maximum utilization of the Data-Driven Innovation Cycle. The entire project execution cycle is supported by the SmartLab AI team, allowing the researchers and partners to focus on analyzing data, bringing data-driven insights, solutions, and design in order to build and train AI models. Close the project by deploying and testing the models through reports, dashboards, and APIs. An on-demand computing power needed to experiment and deploy your models that are flexible, scalable, and economical. Ready-made servers with a number of preinstalled opensource libraries configured to minimize your setup time. All you need is a log in account to explore. Foster collaboration between industries, researchers, data enthusiasts, and start-ups in the context of data engineering, analytics, and artificial intelligence. An open forum to post your technical questions to get answers. 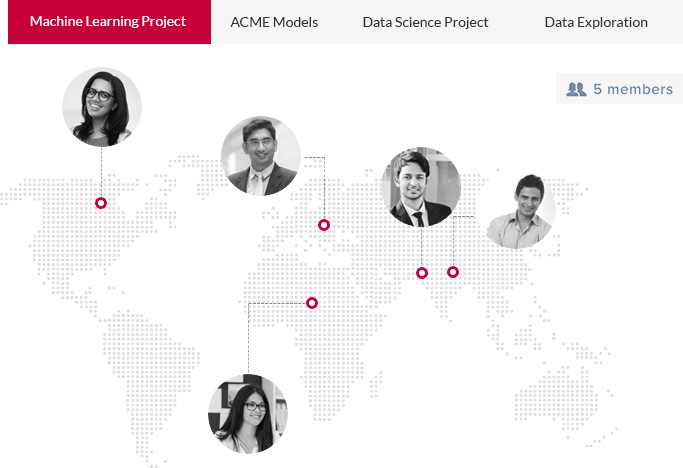 Also, a portfolio of data scientists available on-demand to hit the ground and execute your projects.